As we gear up towards its launch, the Nokia 8 has started to become the center piece of HMD related leaks. The company will launch two top tiered smartphones this year. Out of these, the Nokia 8 is expected to launch in just ten days. A couple of days back, images of the smartphone in gold surfaced, sporting an unfinished glossy exterior. Now, it’s starting to look like that glossy exterior will not be the device’s only stand out feature. Take a look below to find out more. With more brands, the flagship sphere in mobile has started to dilute. We’ve got two categories of smartphones now, differentiated minutely important specifications. The Pixel/Pixel XL, iPhone X/X Plus, Samsung SX/SX/Note X and even the LG G6 and rumored LG V30. 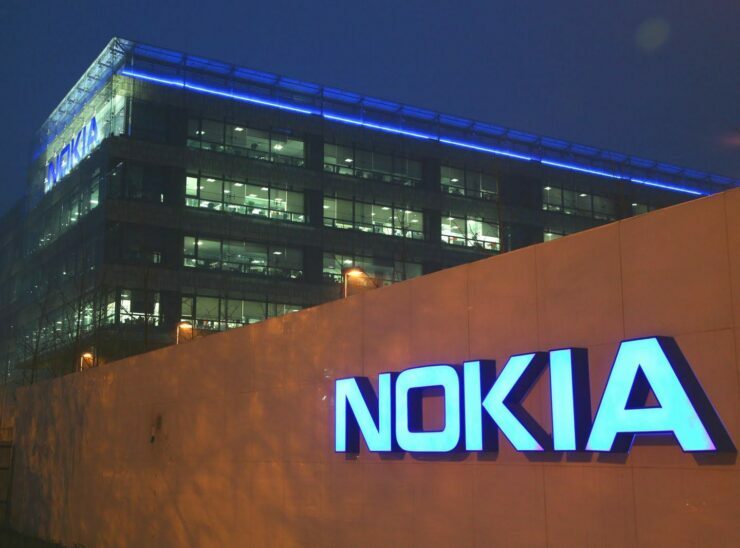 So it’s no surprise for HMD, a relatively new entrant, to follow similar suit with the Nokia 8 and the Nokia 9. Out of the pair, it’s the Nokia 8 which the company will launch in less than two weeks. There’s a lot of information available on the smartphone already. For starters, the company posted the smartphone’s render on its Chinese website before taking it down. If you don’t care about the current ‘bare minimum bezel’ trend going on these days, the smartphone will not disappoint you. The Nokia 9 will feature the Snapdragon 835 on a thick bezeled smartphone, a first for the year. That however, will not be the device’s only surprise. 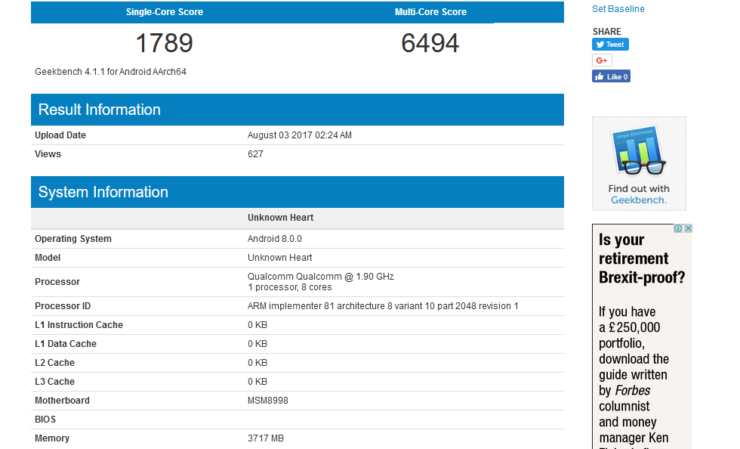 According to this GeekBench listing, the Nokia 8 just might carry Android O. While unlikely, it’d be the perfect move for Google to make if it wants to end some very specific talk in town. Ever since Mountain View laid a special emphasis on Apple at its Pixel/Pixel XL launch last year, a lot of folks have claimed that it wants to emulate the latter. Android 8 will feature a lot of upgrades at its end too. Google’s next software upgrade will feature Inverted Themes, Home Screen Notification Badges, Wide App Color Gamut and a host of other neat fixes. The Nokia 8, will feature the Snapdragon 835, if today’s benchmark is accurate. Earlier rumors for the smartphone to feature the Snapdragon 660 make more sense. It’ll provide HMD with plenty of moving room with the Nokia 9. The smartphone will feature a 12MP front camera, Carl Zeiss lenses, a 2K display and 13MP rear dual cameras suggest rumors. Sounds like a good competitor for LG’s upcoming V30. Thoughts? Let us know what you think in the comments section below and stay tuned. We’ll keep you updated on the latest.